1Sometimes it pains when the anesthesia effect will decrease down from your body. 2This therapy of hair sometimes doesn’t work over patient. 3People who has any skin infections or past of smoking, drinking or drugs may not able to take this hair treatment. 4Sometimes infection can also cause pain to the patients. PRP therapy is a non-surgical process which is approximately about 60 to 90 minutes. It is very safe and gives the best results to the customers. In this process of hair treatment therapy the patient get their beautiful and thick hair back. PRP therapy doesn’t contain any type of medications or machinery treatment and is done by hair specialist doctors. 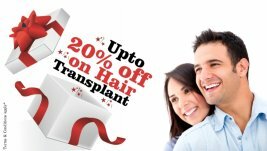 There are more than 90% of people in this world who were suffering with the problem of hair loss and searching for the hair fall solution .PRP therapy is one of the best treatments for them to recover with their problem. It is really very safe and quick way for re growth.